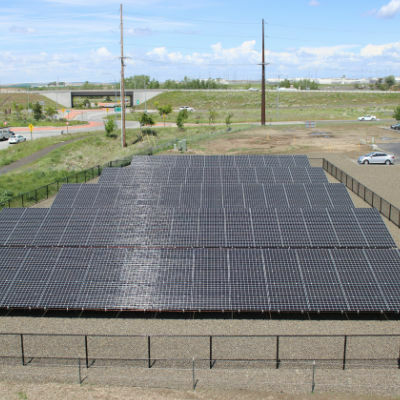 Business benefits the most from solar power. Federal tax credits, 50% bonus deprecitation, and accelerated depreciation (MACRS) deductions result in an typical ROI of just four to five years. Over the panel warranty period of 25 years, the system can quintuple (5X) the initial investment! 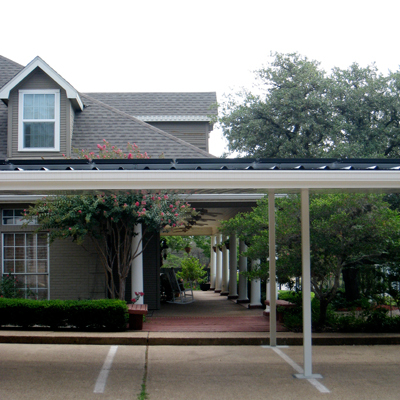 Customers appreciate companies that embrace solar energy. The customer likes to feel good about what they buy. With many boutique products boasting "powered by renewable energy" symbols, small business has been aware of this for quite some time. Large corporations have taken notice, too: Walmart, Walgreens, Target, Costco, Kohl's, and Macy's currently have the most on-site solar installations, and they are just a few of many well-known businesses to invest in solar power. The impact is difficult to predict, but the increase in business could be as significant as the energy savings. 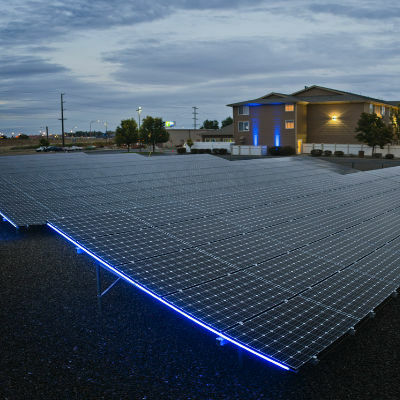 Holiday Inn Express included solar energy in their recent remodel. 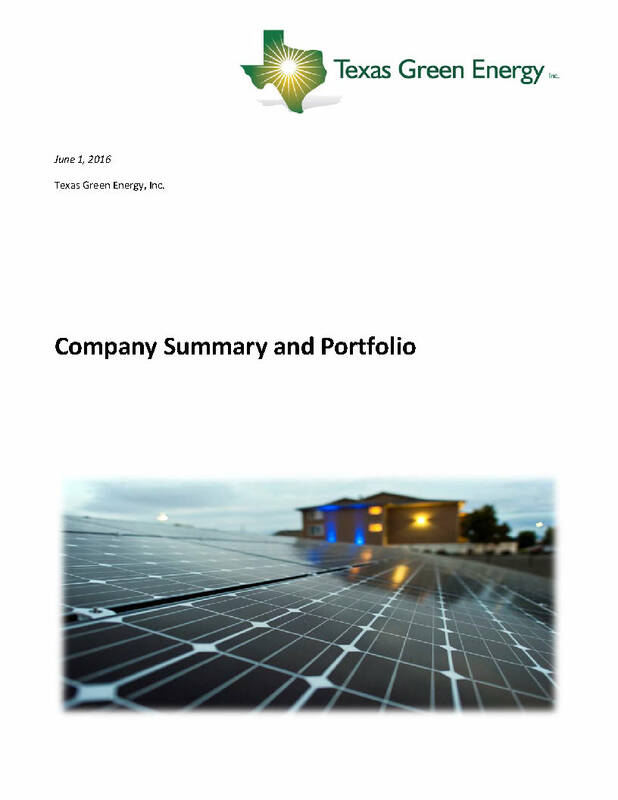 They asked Texas Green Energy to design a system their customers would notice and appreciate. 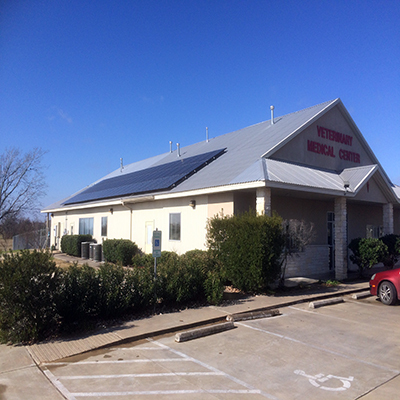 We installed an attractive ground-mounted array next to the building that maximizes energy savings, boasts their commitment to solar power, and compliments the building architecture and landscape. Power outages, even for a moment, frequently disrupted operations at the clinic. 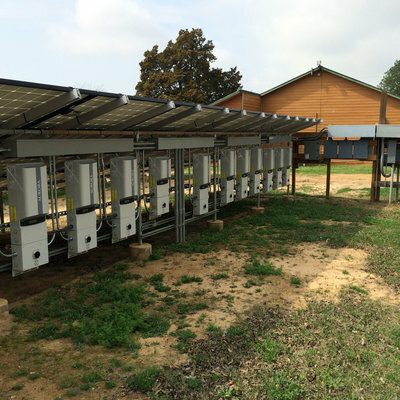 We designed a backup power system to keep most of the clinic running during a grid outage. The system generates 3-phase 208/120V power for all operating room instrumentation, X-ray machine, lights, computers, and communications equipment. 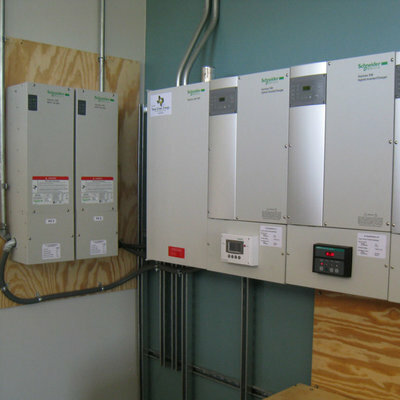 A 20kW solar PV system on the roof keeps the batteries charged. 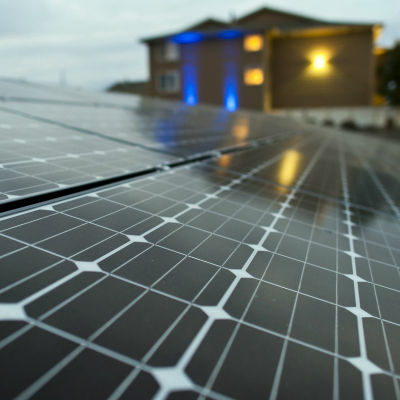 When the grid is up, the excess solar power offsets the electric bill. Fries Financial wanted to invest in solar for their offices, but only if it could blend in with the existing architecture and landscaping scheme. 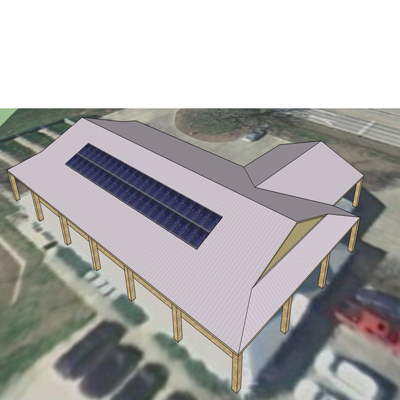 We designed a carport for their parking lot that compliments the look of the wooden front porch and provides comfortable, shaded parking for employees - while at the same time conceals a 10kW solar PV array on top! 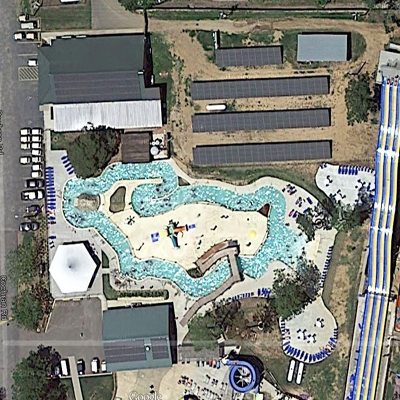 The owner included solar in a recent remodel project to offset some of the park's energy usage. In addition, power outages were more than a nuisance for customers trying to pay for supplies or check in to the park. 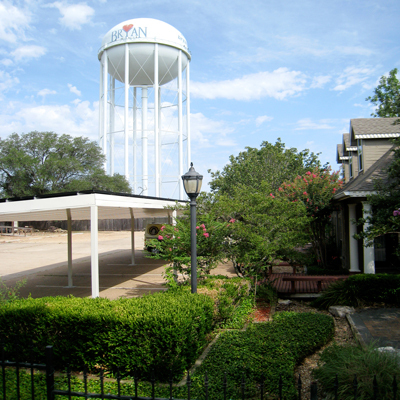 We calculated 115kW of solar would meet the customer's requirements, and we designed an 18kW backup power system for the Ranger Station to keep the refrigerators, freezers, computer systems, and Internet operating in spite of periodic power outages.